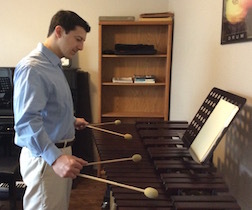 We teach Piano, Harpsichord, Violin, Viola, Cello, Drumset, Marching Drums, Marimba, Vocal (Art Songs and Musical Theatre), Music Theory, and Music Composition. Private lessons are typically once a week for 30, 45, or 60 minutes. Our students are all ages and all levels: young children, tweens, teens, and adults. 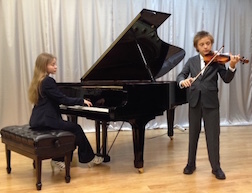 Although most children are ready for music lessons at about 5 or 6 years old, we have taught a few children as early as 3 1/2 and 4 years old. Each child is unique. We are happy to meet with you and your young child to see if he/she is ready for lessons. We teach adult beginners as well as adults who are proficient in their instrument or music theory, but need in-depth technical assistance. Here's a link to our "Contact Us" page so you can send us an email! Which instrument are you interested in? Would you like a free meeting and micro lesson? 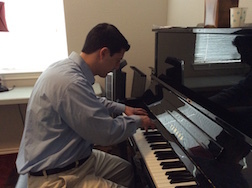 Brett Bachus teaches classical and contemporary Piano and classical Harpsichord. Svetlana Clifft teaches classical and contemporary Piano. 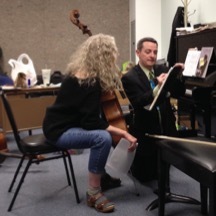 She teaches students of all ages and accompanies string instruments. Josh Casiano teaches classical and contemporary Piano. 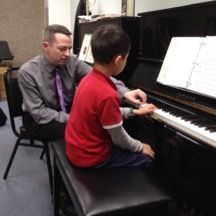 He teaches students in private lessons and group piano class. 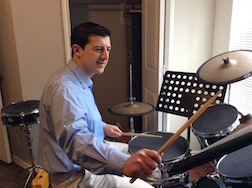 Brett Bachus teaches Violin, Viola and Cello. Svetlana Clifft teaches Violin, Viola and Cello. Josh Casiano teaches band and orchestra percussion instruments: Drumset, Snare Drum, Marching Percussion for Drum Line, Timpani, and Marimba. Josh Casiano teaches music theory and the fundamentals of composing with optional music notation software.